You can’t find the admin link to your poll anymore? No problem. We added a functionality that allows you to retrieve lost admin links for polls, message boards and dashboards. 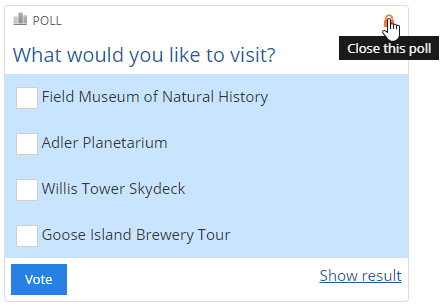 Simply go to https://xoyondo.com/lost-admin-link and enter the email address you created your polls with. 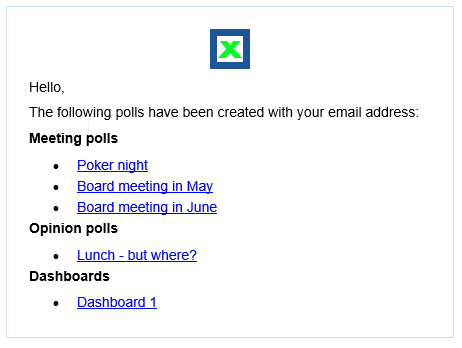 We will send an overview of your active polls, message boards and dashboards to your email address. We started a FAQ-Page which will be further extended in the future. If you have a question that is missing, please contact us. We are happy to add it. Furthermore we added two improvements to our anonymous polls. If your participants vote within the same computer network (e.g., in offices, schools or universities) you have now the option to allow multiple votes from the same IP address. Moreover, administrators can now close anonymous polls to stop further voting. Happy scheduling (and polling) with Xoyondo!